As part of ART BITES series of Artist Studio Tours, the AAWR is proud to present a tour of the Shovel Works Building & 40th Street Artists’ Studios on Saturday, May 12th, 1:00-3:00pm. The Shovel Works tour will be held in conjunction with AAWR’s satellite exhibition, City Artists at Work (CAAW), The History of an Art Community which will take place at the Mansfield Art Center in June. Artist studios visited will include pioneering CAAW members Helen Libens, Susan Donovan Lowe, Lucette Johnson & Johanna Page. Founded by artist William Martin Jean, City Artists at Work began as a grassroots organization of artists whose primary mission was to educate the public by demystifying art in the intimacy of the artist’s studio. 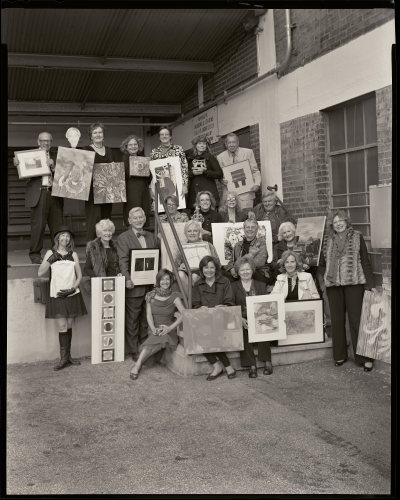 In what would become a signature event, 27 artists from three buildings, including the Shovel Works Building, opened their studios to the public for the first studio tour on October 23, 1998. Libens, Lowe, Johnson & Page were among the first to open up their studios in this effort, which over the course of 20 years would include 40 – 60 artists in 14 buildings, attracting over 7000 people. Eleven galleries would come and go, 16 exhibitions were curated for The Plain Dealer headquarters, and countless workshops and demonstrations were held. While other arts organizations like Zygote Press and Morgen Conservatory that were attracted to the location continue to thrive, the fate of the individual artists’ studios in this historic neighborhood are now in limbo. 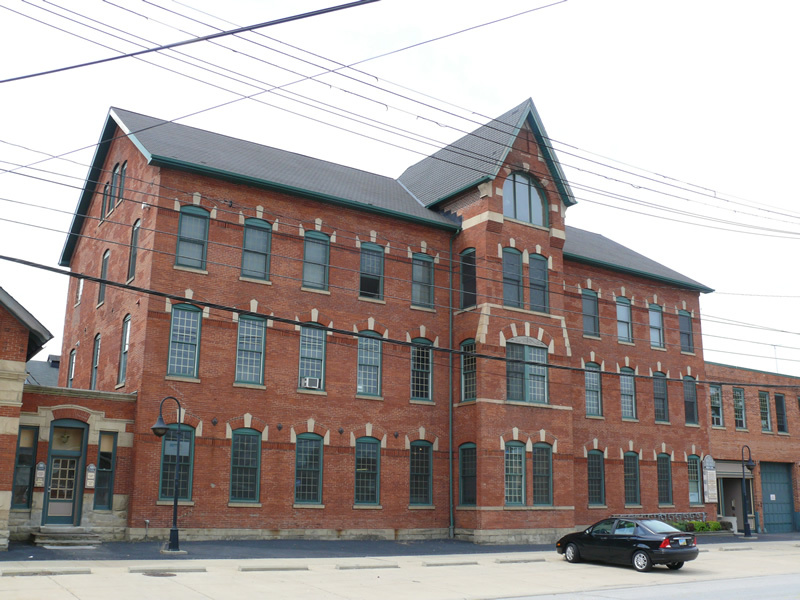 AAWR’s tour of the Shovel Works Building & 40th Street Artists Studios will allow general public and art enthusiasts access to an important part of Cleveland creative history and provide a personal glimpse at the innovative world of foundational area artists. The tour is FREE for AAWR members, and $10 for the general public. Registration is required. Please click HERE to register or call 216.721.9020 to receive your discounted AAWR Member’s rate. The Artists Archives of the Western Reserve would like to thank Cuyahoga Arts & Culture as well as the Ohio Arts Council, the George Gund Foundation, the Bernice & David E. Davis Foundation, the William Bingham Foundation and the Zufall Foundation for their continuing support. Want to share with your friends? Join the conversation on Facebook.